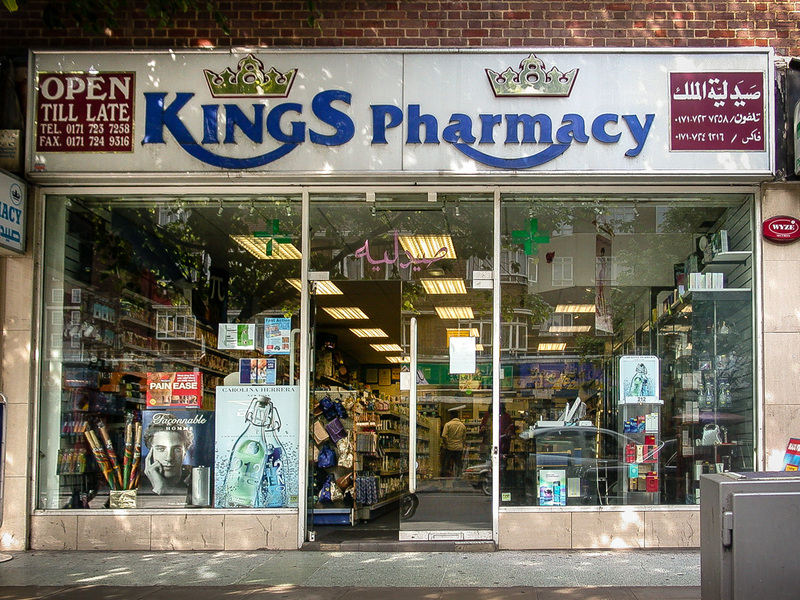 Kings Pharmacy, 104 Edgware Road, City of Westminster, London W2, 2003 • It’s nice when a regal name has a suitably noble sign. Judging by the dual crowns and lack of apostrophe, this is owned by at least two kings. The pharmacy is still there, but now with a much more modest version of the logo.